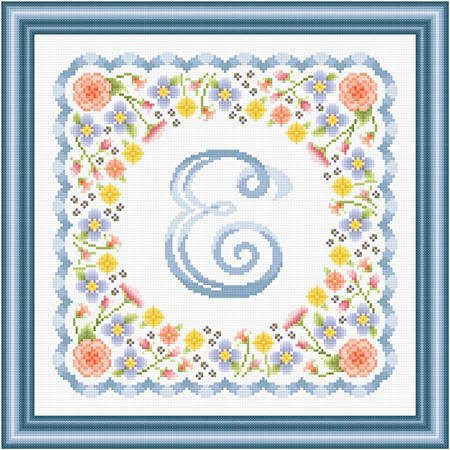 Monogram in Flowers - E cross stitch pattern... Free form letter E in shades of blue is surrounded by colorful flowers. Scalloped ribbons of border match the letter, or may contrast with it. Colors may be changed. Whole stitches.